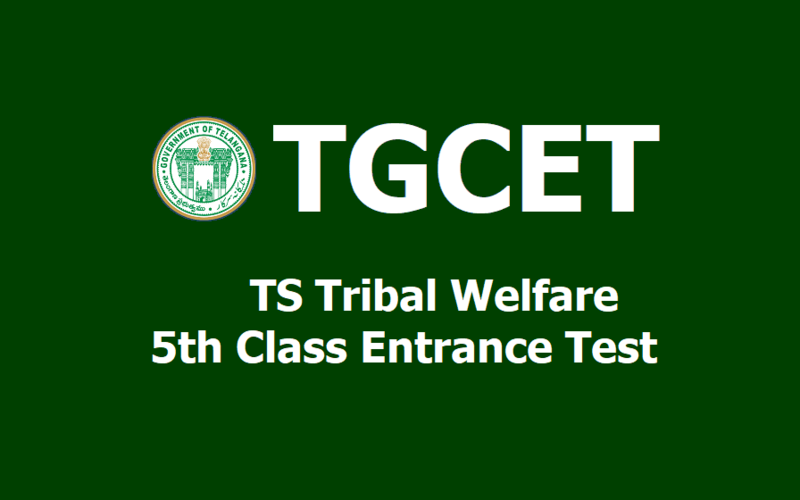 TGCET 2019: TS Tribal Welfare 5th Class Entrance Test 2019, TTWREIS 5th Class Entrance Test 2019, TGCET 2019, TS Gurukul CET 2019, Telangana Gurukul CET 2019, 5th Class Entrance Test 2019, Telangana Gurukulam Common Entrance Test 2019, TS Gurukulams 5th Class Entrance Test 2019 , TS Gurukulam 5th Class Entrance Test 2019. TSTWREIS 5th V Class Entrance Test 2019, TS Gurukulam 5th Class Admissions, TSTWREIS CET 2019, TS Girijana Gurukula Vidyalays, Application Form, Eligibility, Selected List,Hall Tickets, List Of Documents, tgtwgurukulam.telangana.gov.in : Telangana State Tribal Welfare Residential Educational Institutions Society(TSTWREIS) Hyderabad will give the 5th class admission test 2019 Notification and TSTWREI Society will invite the online application form from the eligible students for admission into all Districts TSTW Residential schools for 2019-2020 The TSTWREIS is intended to conduct an Entrance Test 2019 for admission into Class V during the academic year 2019-2020. TGCET ~ TS Gurukulam 5th Common Entrance Test(Residential School's Common Entrance Test) 2019 notification has been announced on .. February 2019 by TSWREIS Officials for admission in SC, ST, BC Gurukulams. Online application forms submission from ..02.2019- ..03.2019 duration for application. The Telangana Government will fill the 240 seats in newly sanctioned in 119 BC Gurukulams. The Students should be a bonafide of Class VI during the academic year 2019-2020 in any Government School or any recognized school of Telangana State. TGCET ~ TS Gurukul CET - TG Gurukul CET: Labels in TGCET 2019, TS Gurukulams 5th Class Common Entrance test 2019,TG Gurukul CET 2019,TS Gurukulam 5th class admissions 2019, Telangana Gurukulam 5th class Common Entrance test for Telangana Gurukuls, TS Residential Schools 5th Class admissions.